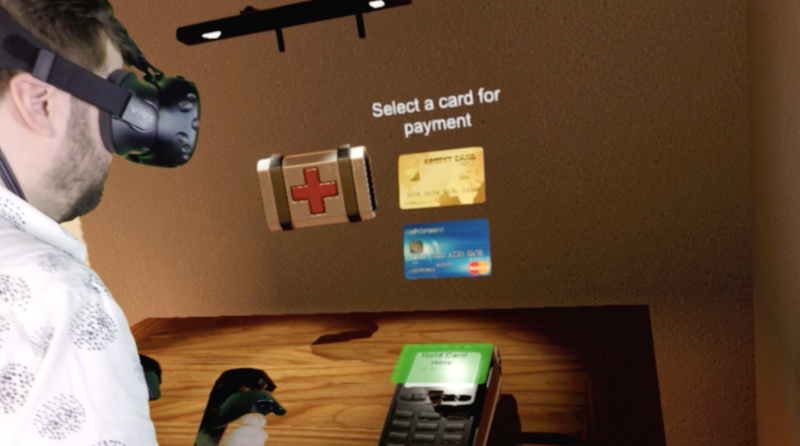 UK-based payment processing company, WorldPay, is bringing its services to virtual reality. WorldPay is one of the leading payment processors worldwide. 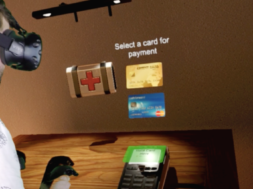 Using the HTC Vive for its prototype, the system allows users to pay for in-game items. Players will be able to motion certain gestures which will reveal its price in a bubble. By staring at the virtual price tag for a few seconds (using eye tracking) users can make the purchase with a virtual version of their real credit or debit card. The user must then hold their card over a VR payment terminal. To safeguard security, if a PIN is required, number bubbles pop up all around you in VR in a random order so that observers cannot guess the code. In truth, WorldPay’s VR payments are quite similar to real life payments. WorldPay says it’s also interested in working with companies like Ikea that have started experimenting with VR in their own sales. According to Engadget, market research conducted by the company suggests the demand for VR payments will vary a lot by country. While 93 percent of Chinese citizens surveyed said they could see themselves using VR payments, only 35 percent of UK participants did. Engadget also claimed that “zero percent of the people writing this article envision making VR payments anytime soon.” Needless to say, they are not incredibly impressed with this new technology. VR payment seems feasible if you are already strapped into your headset and do not feel like coming out of immersion to make a purchase. WorldPay has not yet released its services to consumers. Many people have reported that they are fearful of security breaches in the virtual world. What are your thoughts on VR payments? We’d love to hear your opinions in the comments below.